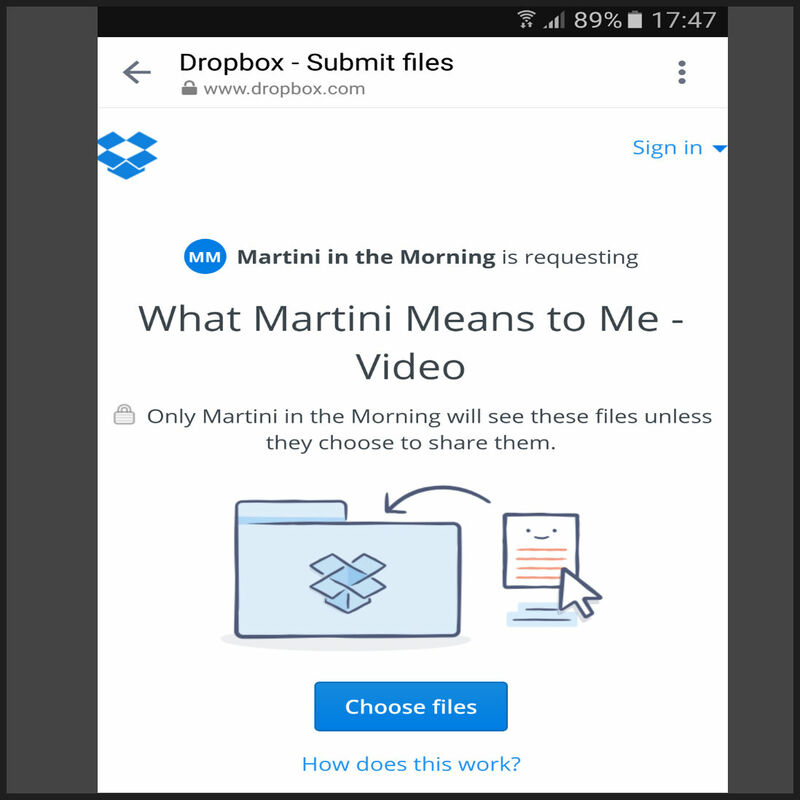 What does Martini in the Morning mean to you? 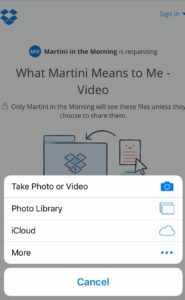 Use your smart phone or tablet, and shoot a video telling us what Martini in the Morning means to you. 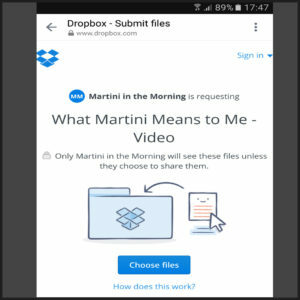 We’re doing a series of presentations for people in the industry, potential advertisers and others who will benefit as Martini in the Morning grows, and we want your feedback to share with them. 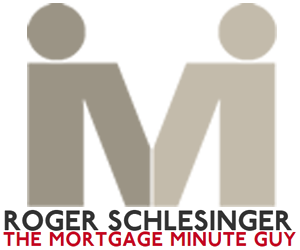 We’ll also share some of the videos in our social media campaigns. So please follow the instructions below to tell us WHAT MARTINI IN THE MORNING MEANS TO YOU! 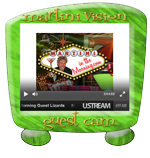 We want to know “What Martini in the Morning Means to You” and how you listen to MITM. 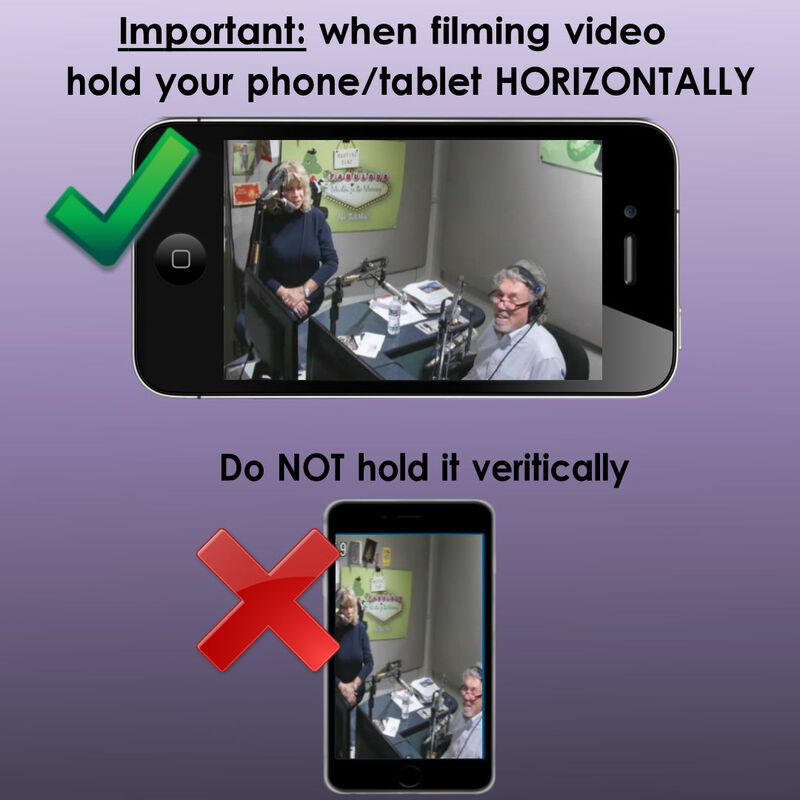 See below for example verbiage and be sure to say your name and where you are from at the beginning of the video. 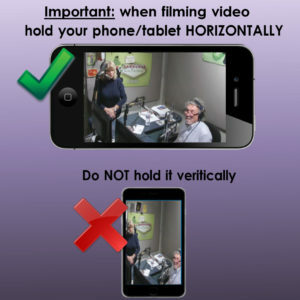 Please keep videos around 30 seconds (no more than 60 seconds). 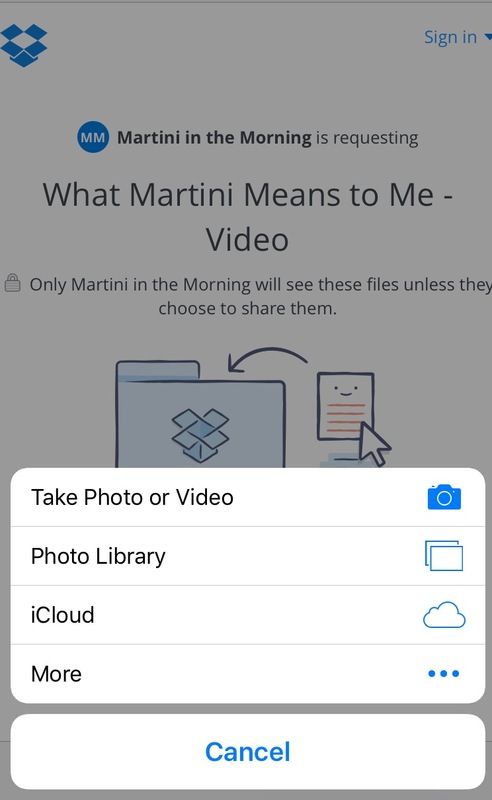 Find your recorded video and click on it to select it. 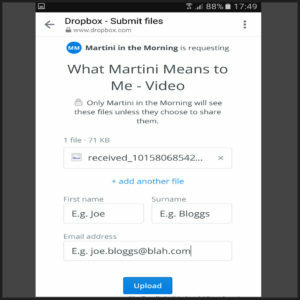 You should then see the video name uploaded on the Dropbox page as in the below screenshot. Then just complete YOUR “First name” “Surname” and “Email” address fields. Finally, press the blue “Upload” button.